A training launched last week is set to open the door of opportunities for some sixty unemployed young people to gain vital skills in I.C.T. Driven by the United Nations Development Programme (U.N.D.P. ), the training was launched by the Minister of Communications and Information Technology. The project is designed to equip the youth of Samoa with I.C.T. skills and knowledge to enable them to find more employment opportunities. “This initiative funded by U.N.D.P. and delivered through the collaboration of Ministry of Women Community and Social Development (M.W.C.S.D. ), and National University of Samoa (N.U.S. ), will train 60 unemployed youth in the I.C.T. skills they need for the digital future. 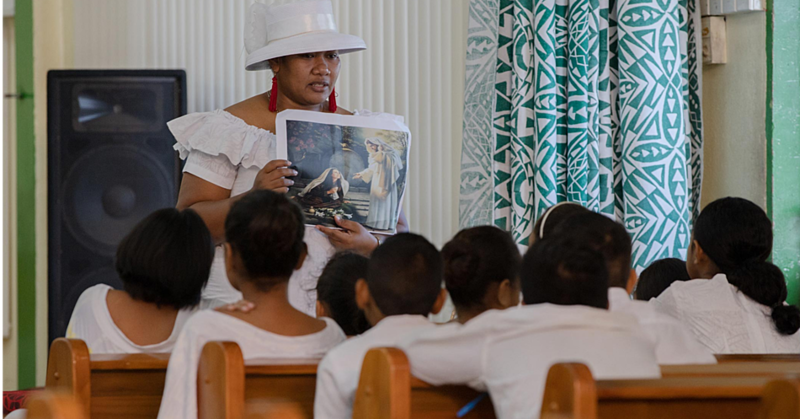 This is a pilot, a small step on the path to Digital Samoa,” Minister Afamasaga said. “We need to be bold. We must be prepared to pilot new technologies, initiatives and ways of doing things, adopting what works and changing what doesn’t. The training will allow the participants the chance to undergo tailor-made training in basic computer literacy. The training begins at the end of this week. The Minister went on to say the people-centred projects are very important to the Government. “We must always remember that technology is not an end in itself; rather it must be a way to improve the lives of our people. We must never lose sight of why we are implementing National ID and Digital Samoa. “The Government together with our donor partners had invested millions in building connectivity and resilient I.C.T. 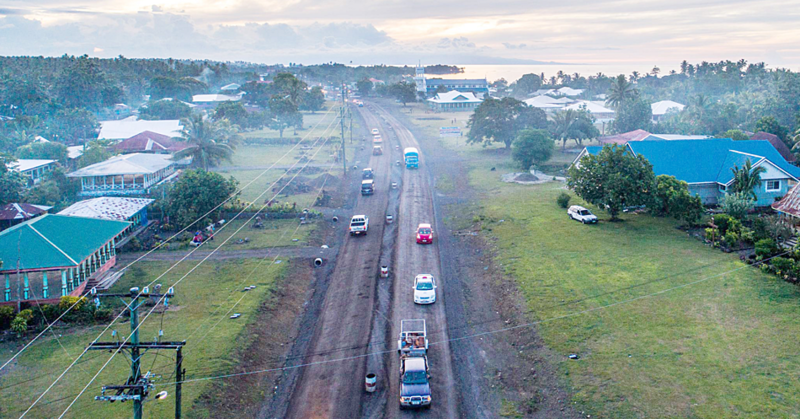 infrastructure, and therefore we must build an attractive ecosystem to entice investors and international companies to setup in Samoa, to realize our vision. “All of you who will attend this training for your parents and families. Do not waste this opportunity. I wish you all the best and look forward to hearing of your successes. “I would like to take this opportunity to thank Ms. Simona Marinescu and U.N.D.P. for funding this pilot programme. “I am sure this is the beginning of a series of trainings in this area, to equip our youths for many more employment opportunities in this area in the future, he said. “I will close by saying that, let’s build this ecosystem where we train, prune and prepare our youths for the future, and our actions despite a possibly generational timeline, must be intentional and incremental each year towards the Digital Samoa we want to create. Let’s make this time together count towards a Digital Samoa in our lifetime, he added. The Assistant Resident Representative for Operations and Finance from United Nations Development Programme (U.N.D.P.) 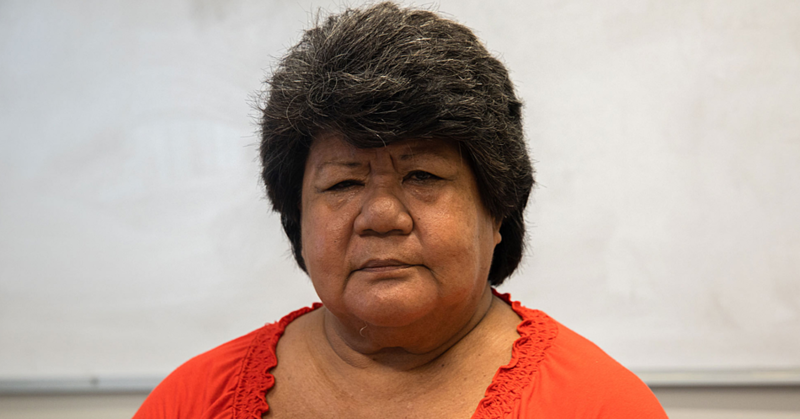 Pauli Moana Luamanuvae spoke about the significance of the training in changing lives of those who were chosen. “U.N.D.P. is all excited to be involved in this journey; now preparing the youth through training such as the one being launched. “It is important to partner with N.U.S., Samoa’s university – to train up young people for the jobs of the future. “We thank the M.C.I.T. 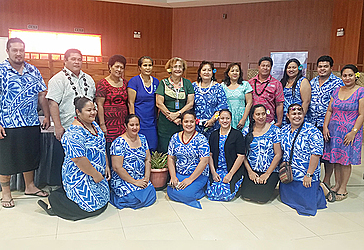 Minister Afamasaga Lepuia’i Rico Tupa’i for designating a space for the youth at the Tui Samoa Cable headquarters at Vaivase Tai. It is for the youths to practice their learning from trainings and share ideas on digital transformation, she said. “Another great help is from M.W.C.S.D. for designated space at their headquarters to set up the youth incubator for our young people, which will allow training facilities to be set up for them.